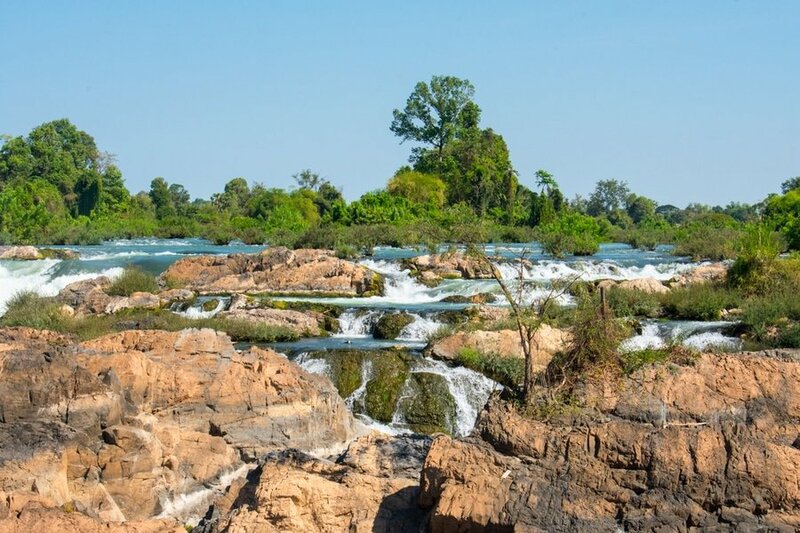 The 4000 Islands (Si Phan Don) of Southern Laos is voted as one of the best value summer destinations in Southeast Asia. It is known for freshwater Irrawaddy dolphins, countless waterfalls, stunning landscapes, endless rivers, and lush forests, all worthwhile reasons to visit. 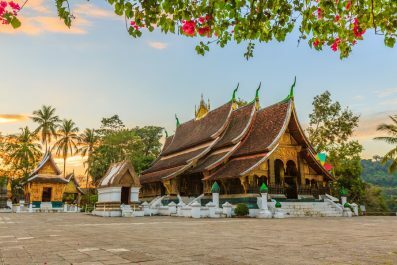 Although it may not rival the party atmosphere of Thailand beaches, the islands of Laos offer numerous opportunities for relaxation and recreation. This 3-day suggested itinerary will lead you to Don Det and Don Khong’s famous attractions and will help you make the most of your trip. Depending on your traveling priorities, you can certainly fine tune this itinerary to suit your needs. 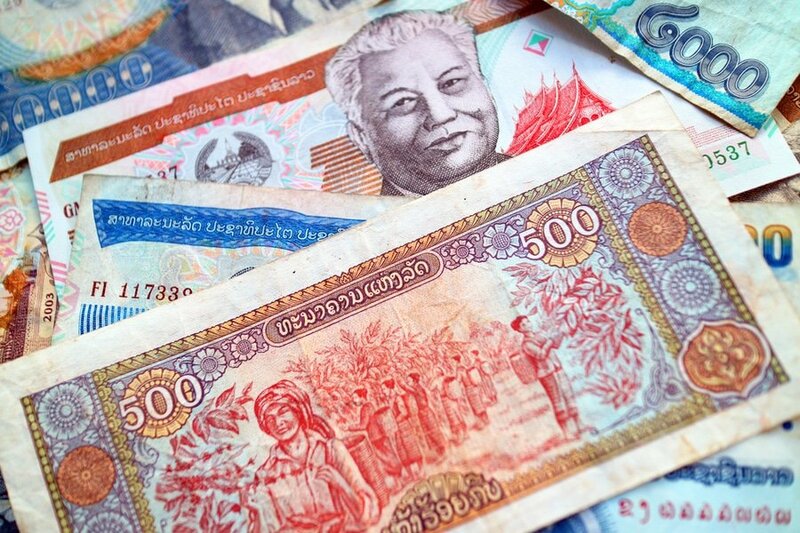 Currency exchange – The official currency used in Laos is the Lao kip (LAK). ATMs can be found in Vientiane and some rural towns. Exchanging money in Laos is easy and follows the same standard to elsewhere in Southeast Asia. If you are coming from Vientiane or Pakse, make sure to carry enough Lao kips with you to last for your entire stay on the 4000 Islands because there are no ATMs in this part of the country. Some guesthouses offer currency exchange but at a very unfavorable rate. Where to stay – Laos has a wide range of accommodation options, with something for every level of comfort and budget. Don Det, the most popular island in the entire 4000 islands, is where most backpackers stay. There are plenty of budget guesthouses in the island, which offers excellent view of the Mekong River. If you want to veer away from most backpackers, then forget Don Det and choose Don Khong Island instead. Getting around – Getting around Laos and taking public transportation might be a shocking experience to foreign visitors. Transportation options include small minivans (tuk-tuks), boats, local buses, tourist bus or VIP mini vans, motorbike sidecar taxis (Săhm·lór), rental cars and public trucks (Songthaews). Although renting a motorbike is one of the most popular ways to get around, we do not recommend it to non-experienced drivers. Renting a car and driving on your own is also not advised because road travel in Laos can be hazardous, as roads are often poorly maintained. Locals have little regard for traffic regulations and do not follow safe driving practices. Your 3-day adventure in Don Det and Don Khong starts today! Most travelers come from Pakse, which is located between the Mekong and Xe Don rivers, and approximately 2 hours north of Nakasong Ferry Boat Station. Most tourist buses leave Pakse at 8 or 9 in the morning. One way ticket is about 60,000 Lao Kip (about 7 USD), which includes bus and boat fares. Upon arrival in Don Det or Don Khong, check into your preferred accommodation. If your bus gets in early enough, head to the nearest restaurant or cafe for a quick brunch. Wear a comfortable walking shoes as you will do a lot of walking or biking for today. Make your way to the center of Don Det, where most of the bicycle rentals are located. Whole day bicycle rental costs 10,000 Lao Kips (1.25 USD) without deposit. Spend the rest of the day biking around Don Khong, where you can enjoy the pristine and quiet atmosphere of the area, and if you have enough luck credits, you might get to see the Irrawaddy dolphins from the beach! You may also check out some of the waterfalls in the island like Somphamit (Li Phi) Waterfalls, located about 3 kilometers from the bridge that connects Don Det and Don Khong. Admission fee is 30,000 Lao Kips (3.65 USD). End the day with a drink or delicious Lao food at the local restaurant overlooking Li Phi Waterfalls. 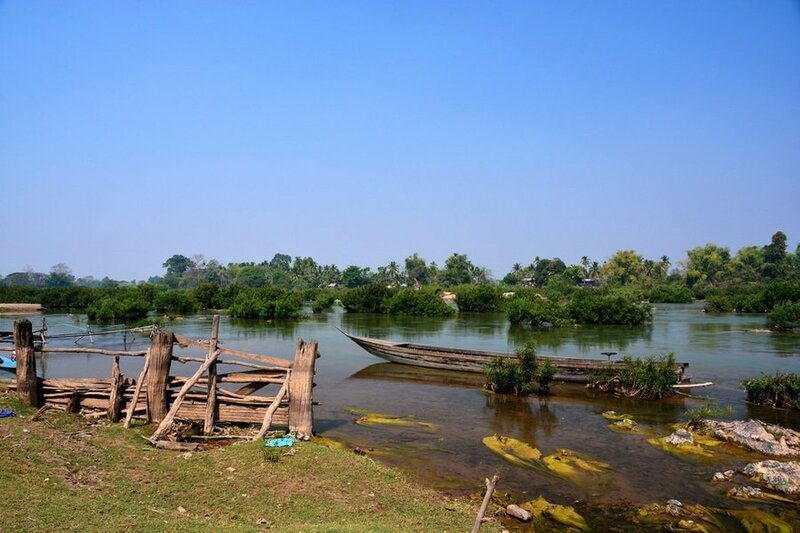 Wake up early and visit Ban Nakasang, a small riverside town in Southern Laos and just 15 minutes by boat from Don Det. Here, you’ll find a traditional morning market, which is one of the best places in Southern Laos to snap up a bargain. You can find almost everything inside the market, from fresh produce, local food, jewelry, clothing, household goods, traditional Laotian clothing and tons of knock off designer clothing. Since Don Det and Don Khong do not have daily markets, you may also buy your supplies here. Don’t forget to haggle to get the best bang for your buck. Aside from shopping, the morning market is also a great place to get a taste of the local life in Laos. After your morning tour of Ban Nakasang, make your way back to Don Det and head to the beach. This is the starting point of your tubing adventure down the Mekong River. Tubing in Don Det has become a ‘must do’ in the island, and some people might wonder why. The fun lies with floating down the river on a floating device, which is normally made of the inner tube of a truck tire. While floating, you can get stunning views of the river and you can get a real tan too! If you plan to bring some liquor with you, remember not to get drunk in the water as alcohol is the number 1 cause of accidents in the river. Also, remember to stop tubing in the bridge connecting Don Det and Don Khong, as this area has very strong rapids. On day 3, get up early and prepare for a day full of interesting experiences. Start by having some breakfast in your chosen accommodation. The staple food of the Laotian people is steamed sticky rice (Klao niaw). Most Laotian eat sticky rice three times a day, for breakfast, lunch and dinner. There is no better way to end your adventure in the 4000 islands of Laos than joining a kayaking tour. Make sure to bring a dry bag, enough water and snacks, sunscreen, insect repellent and a hat. After hotel pickup in Don Det, you’ll receive some basic paddle instructions before heading out with your guide. Paddle through Mekong River to the western side of Don Det before your group will complete the Don Khong loop. If you opt for a full day tour, you can enjoy a traditional Lao picnic lunch by the river. 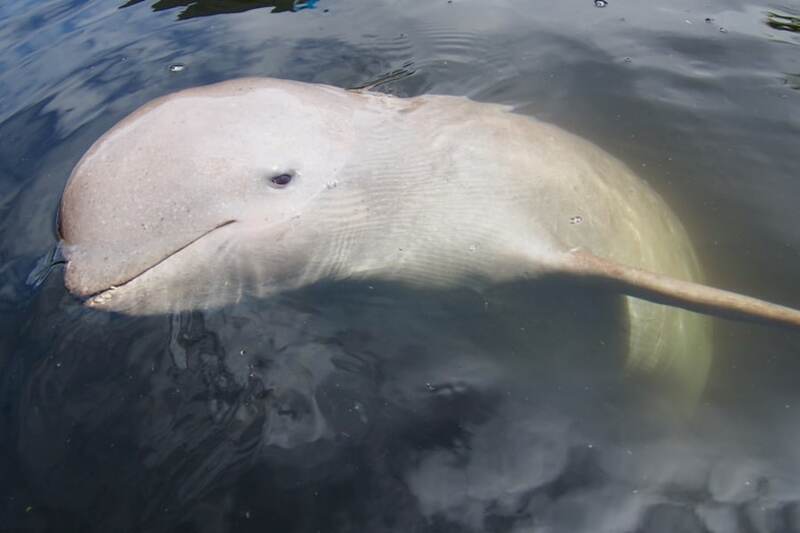 Afterwards, you’ll continue to the Lao–Cambodian border, where may be able to spot some Irrawaddy dolphins. This is the end of our 3-day suggested itinerary. You may extend your holiday for as long as you prefer or until you get to see all attractions that interest you. Take time to meet the locals, sample the best Lao dishes and learn about Laos’ rich history. If the pace gets too hectic, then reorder your sightseeing priorities. Happy travel!